The NBA’s statisticians have been working overtime in the 2014 playoffs, which have been described as the greatest in the history of the league. 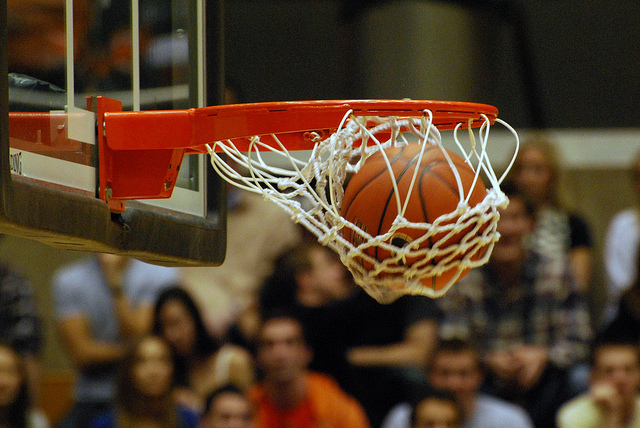 According to the numbers, the amount of tension-filled minutes in regulation and overtime has doubled compared to 2013. Nowhere is this fact plainer to see than in the amount of “clutch” minutes teams have played so far in the 2014 NBA Playoffs. NBA.com, which denotes clutch time as the period when there’s five minutes or fewer on the clock in regulation or overtime and the scores of the two teams are within five points of one another. Considering there have been eight overtimes already (a record in any round of any playoffs) and four in the Oklahoma-Memphis series alone (another record), clutch time has ballooned in 2014. NBA.com’s stat team corralled this data into a viewable format as the first round of the playoffs closed. Here are the five best clutch performers in the 2014 NBA Playoffs. The Blazers’ Damian Lillard has had a sensational series against the Houston Rockets in the first round of the playoffs. If he has seemed to get better in the clutch, the statistics say that’s exactly what he’s done for Portland. In 28 clutch minutes against Houston, Lillard shot 7-14 from the field and went 11-11 in free-throws for a total of 26 points. Lillard added 7 rebounds and 3 assists in those minutes for a playoff-best plus/minus of 20. That’s serious performance when the game is on the line. It’s no surprise to find Kevin Durant on a list of clutch performers. The buzzer-beating OKC star has always been a closer. 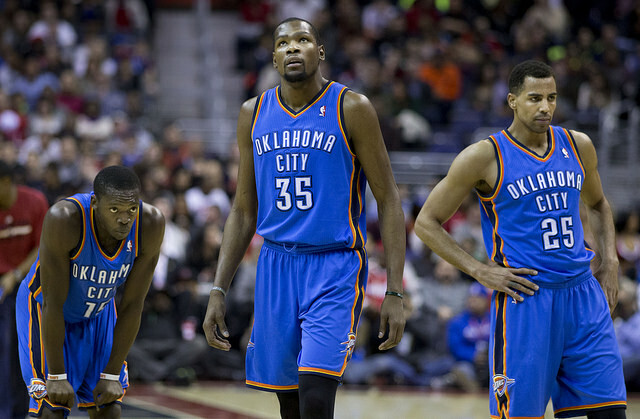 However, the tension hasn’t worn on Durant in the very tough series against the Memphis Grizzlies. In a whopping 37 clutch minutes (courtesy of four overtimes in five games), Durant shot 50 percent (11-22) from the field and 80 percent from the free-throw line while putting up 32 points. Durant’s one weakness is shooting behind the arc in crunch time. In those 37 minutes, KD shot just 2-9 (22 percent) from three-point country. Looking at Russell Westbrook’s 7-28 (25 percent) from the field and 3-14 (21 percent) in three-pointers during clutch time, Thunder teammates would be wise to find Durant when the game is on the line. Mike Miller has been known as a professional assassin from behind the three-point line since his epic NBA Finals performance against OKC in 2012. Back then, Miller sealed the Thunder’s fate with 7-8 shooting from three-point country, sparking Miami to its first title in the LeBron James era. In 2014, Miller’s been no less clutch in trying to help Memphis oust OKC in the first-round series as a member of the Grizzlies. Miller has shot 5-7 from three-point range for 15 points in 21 clutch minutes against the Thunder. When the game is on the line, Mike Miller is still ready to pull the trigger and score from behind the arc. Dwight Howard’s character has been questioned at every stop in his NBA career, but Houston fans have to be pleased with his performance in the 2014 playoffs. In 25 clutch minutes — in some cases, “hack-a-Dwight” minutes — Howard has shot 15-0f-18 (83 percent) from the free-throw line. Compared to his 55 FT percentage during the regular season, it’s obvious Howard can deliver in the clutch. He also nabbed 10 rebounds in those 25 minutes when the game was on the line. Among the players who have opened the eyes of basketball world in the 2014 playoffs, Portland’s Nicolas Batum stands out from the pack. Batum appears to have ice in his veins in clutch time. He’s never afraid to pull up for a game-changing three or go charging after a loose ball. In 28 minutes of crunch time, Batum has poured in 18 points for the Blazers on 7-of-13 (54 percent) shooting from the field and 4-0f-9 (44 percent) from three-point territory. On top of the scoring, Batum has pulled down 8 rebounds and dropped 3 assists when it mattered the most. Along with Damian Lillard, Batum has the best plus/minus (20) of any player in the 2014 NBA playoffs. He should never be on the bench when it’s clutch time.